Have you ever wondered why our annual camping event is called Guru Guru Camp? Well, now you know! It describes something spinning for a long time. 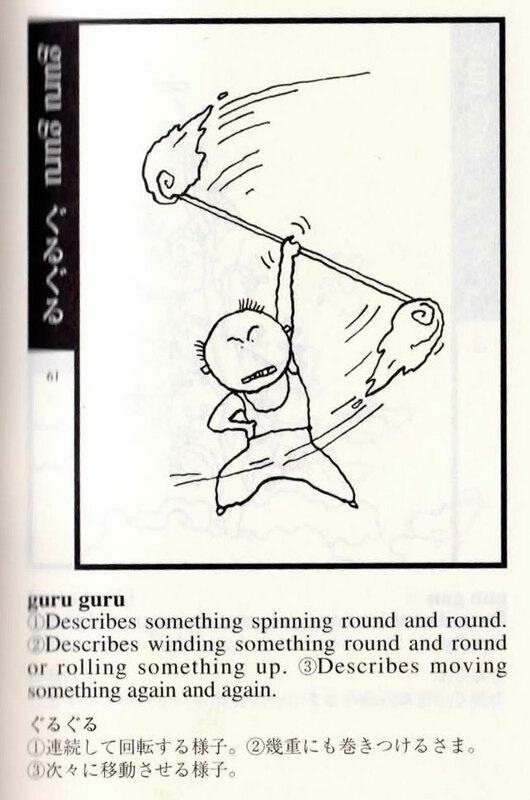 I love that the definition in this book is illustrated by someone spinning fire staff.